Whether it’s leaky gutters and shabby roof linings, or rotten wall cladding eating away at the structure of your roof, South Wales UPVC has the answer. 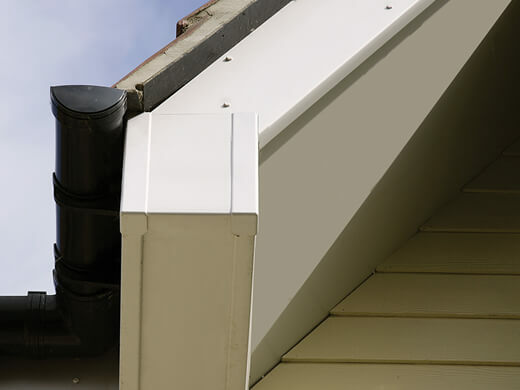 Gone are the days of clambering up your ladder to maintain these hard to reach places, as our range of UPVC roofline products offers your home long-lasting protection from the elements. 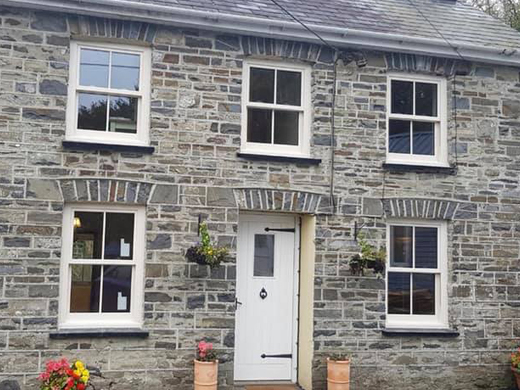 At South Wales Windows & Doors, our roofline and guttering products are designed to stand the test of time. 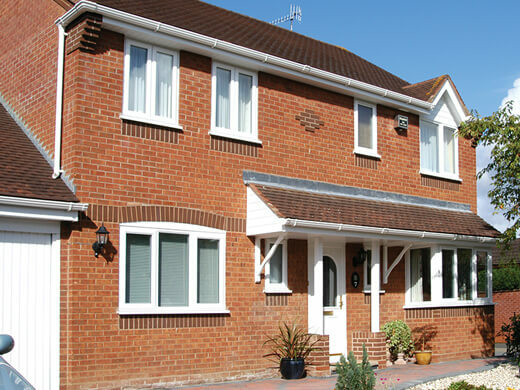 All are made with the highest quality UPVC composites, ensuring not only that they can be made to suit any property, but also that they are highly durable, and offer a low maintenance solution. 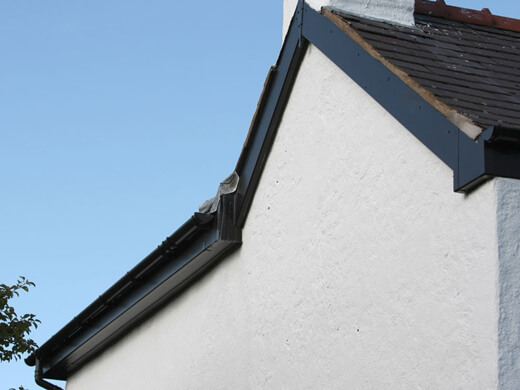 South Wales UPVC’s roofline products will ensure that your soffits, fascias, guttering, and downpipes not only look great, but are guaranteed to last without the need for regular maintenance. Why Choose Our UPVC Rooflines? 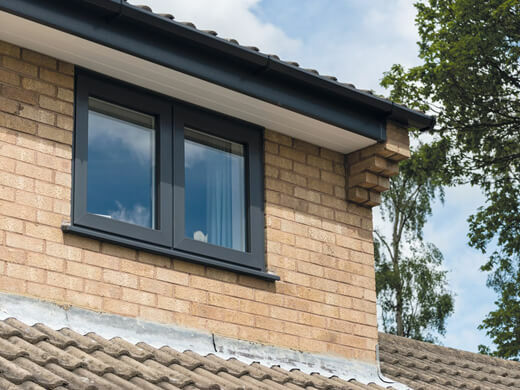 At South Wales Windows & Doors, we place great emphasis on providing quality UPVC guttering and roofline at affordable prices, whilst maintaining market leading customer service levels. Our methods are also fast and efficient for your convenience. Here at South Wales Windows & Doors, we have installed roofline products for customers all over the country. 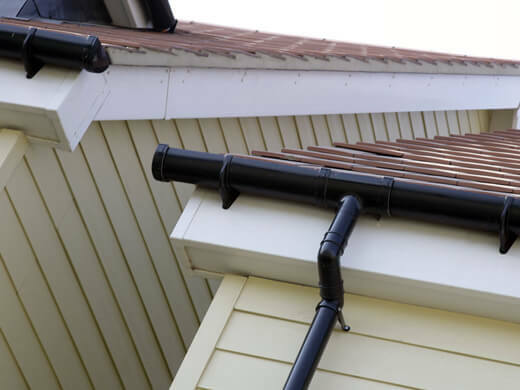 In our roofline gallery, you can see some examples of completed rooflines projects which will help you to decide which products are best for you. Our team of advisers, designers and installers will be there to assist you every step of the way as you choose your new roofline products. We have decades of experience working with these roofline products - our knowledge and skills are unrivalled, as are our competitive prices. 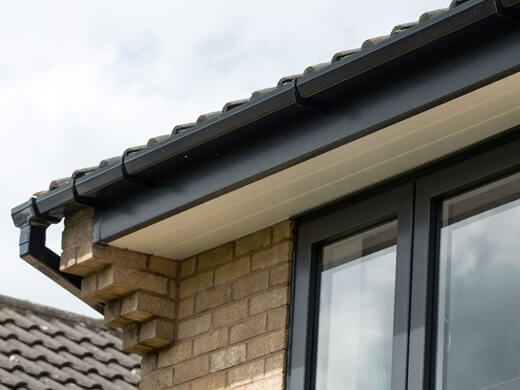 Since our guttering, soffits and fascias are made from high quality UPVC, your home will require almost zero maintenance, and will also look the part. If you would like any further information regarding our high quality range of roofline products in the Cardiff and South Wales area, please fill in our online enquiry form or call us on 02920813488.